New Year, New You, New Friends! While your resolutions or goals may focus primarily on what you want to change, improve, or achieve this year, there is a very important component that we often fail to take into account—our friends. It’s a New Year which for many people signifies a time of transformation and a time to make real changes to their lives and the way that they are living. For many, the New Year represents a blank page or a fresh start which makes it feel possible to create a new version of themselves. While your resolutions or goals may focus primarily on what you want to change, improve, or achieve this year, there is a very important component that we often fail to take into account—our friends. We often overlook the role that our friendships play in the positive parts of our lives. We absolutely know the support and love we get from our friends when times are tough or when things go wrong, but most of us fail to see just how critical a role our friendships can play in whether we are successful at making big, life altering changes. If you are looking to make 2014 the year you make THAT change, make sure you consider the friendship factor in your plan. Here are some of the ways friendship can help New Year’s resolutions stick so that you can move forward in creating the life you dream about. One of the best things about having friends is that it means you have someone in your corner. You have your own personal cheering squad. This can be critical to getting through the hardest times in your life but don’t discount how helpful those cheerleaders can be when you are striving for something rather than simply surviving something. Research shows that when you have positive support on your side, you are more likely to succeed in making big behavior changes, especially those changes that affect your health like losing weight or being healthier. Support is great but when you can find friends that will buddy up with you to make the same changes, your chances of success are even better. Many friendships are forged from time spent working toward the same goal. There is simply something about shared experiences that grows and strengthens bonds and when it comes to lifestyle changes, both new and old friends can be the difference between success and failure. In fact, when you partner with others you increase your likelihood of making the change and then maintaining it. So, if your goal is to work out more, stress less, volunteer more, or eat less, finding friends to be your buddy is a great way to make both of your lives better. Another important role that our friends can play in helping us to make positive changes is to act like our own personal Jiminy Cricket. If you recall, Jiminy was Pinocchio’s conscience and sat on his shoulder to encourage him to make the right choices. A good friend acting as an accountability partner can do the same thing. They can act as a sounding board when you are trying to make a decision. They can offer advice and remind you of the reasons you are trying to make certain changes. They can provide a little extra willpower when yours begins to lag. If you are great at making changes but bad at sticking to them, enlisting a friend to help you keep yourself accountable can make a real difference in your overall success. Another way that your friends can help you achieve your goals this year is by providing access to their own networks. We often forget that each of our friends have their own world completely separate from us that includes other friends, co-workers, buddies, and acquaintances. If you are looking to make a big change like a career swap or finally finding your life partner, reaching out to your friends and letting them know what you are looking for can make all the difference. One of the other benefits of making big lifestyle changes is that these changes can open the door to new friendship in your life. 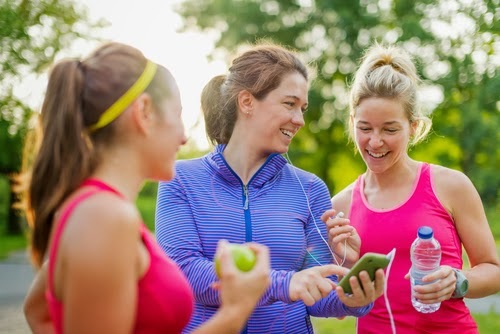 If you are looking to run more or to train for a 5K but you don’t have any friends who are runners you can reach out through sites like SocialJane.com to find new friends, or a running partner. If you want to learn a new skill like cooking, knitting, or karate, taking a class or joining a group gives you access to a whole new pool of people that have the potential to enhance your life and make it easier for you to stick to the changes you are trying to make. If there is one resolution you need to make this year it is to put time and effort into maintaining your current friendships and building new ones. Research has shown that strong friendships enhance our lives in a multitude of ways. So, get your New Year off to a great start by scheduling a Girls Night Out with all of your friends and their friends and start creating the kind of support system that will make everyone’s dreams possible.